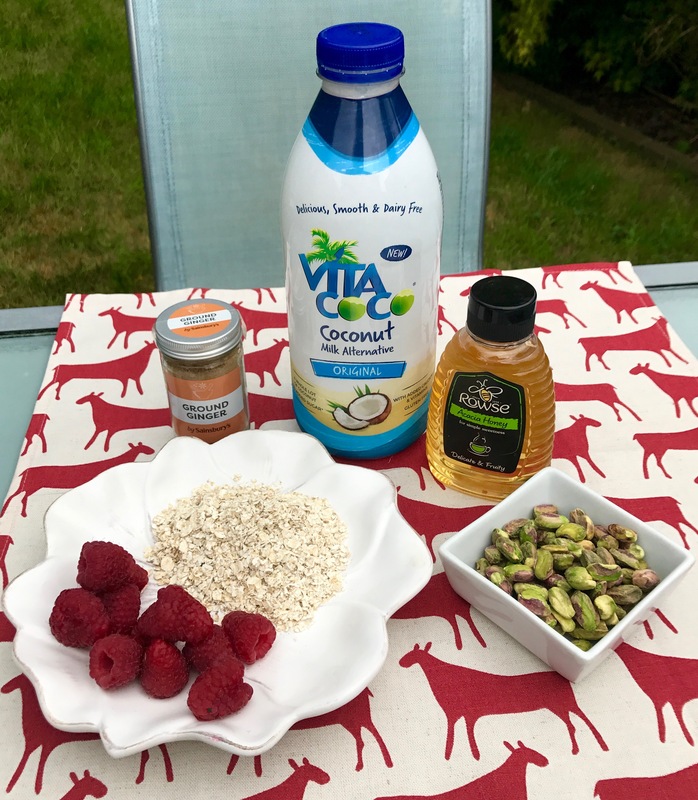 So today I’ve taken up the challenge to come up with a breakfast idea using Vita Coco – a coconut milk alternative which is great for those with dairy intolerances and tastes delicious, too. Of course, while I was pondering it I came up with two ideas, so decided to share them both with you. One is a more healthy option – a satisfying ginger porridge. 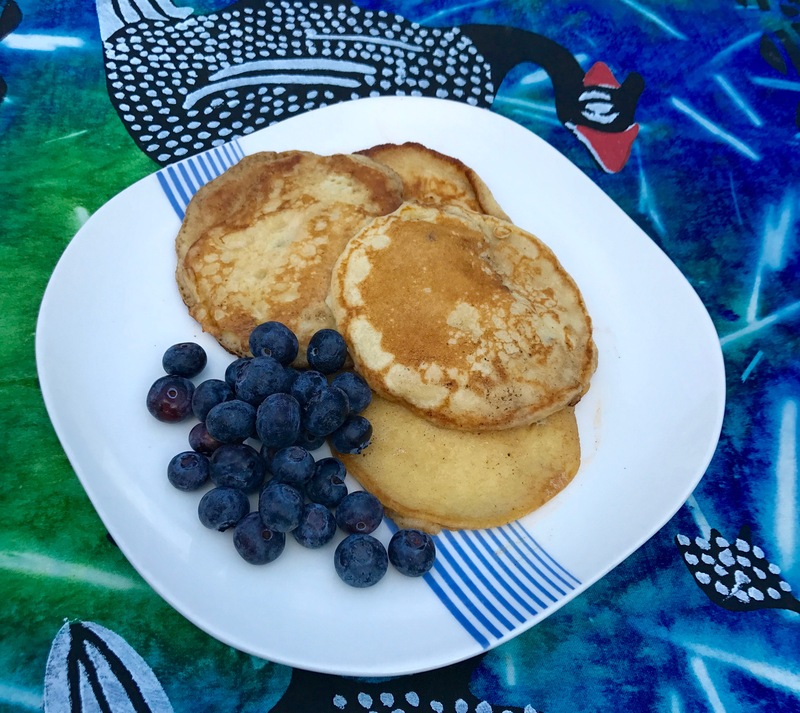 Or you could treat yourselves with my tasty cardamom pancakes. I had the idea of using spices in my breakfast dishes as their health benefits are widely accepted and they add a tasty element of surprise – the perfect way to wake up your taste buds. Plus coconut and spices are wonderful partners. This ginger porridge has a real zing and ginger’s anti-inflammatory effects can help with muscle pain and soreness, it’s great for treating nausea and is even thought to help lower blood sugar. The pistachios add a nice crunch and the sharpness of the raspberries works wonderfully with the sweetness of the honey. A great way to start your day. Pour the milk into a pan and add the ground ginger. Heat to a low simmer and add the oats. Stir until thick and creamy. 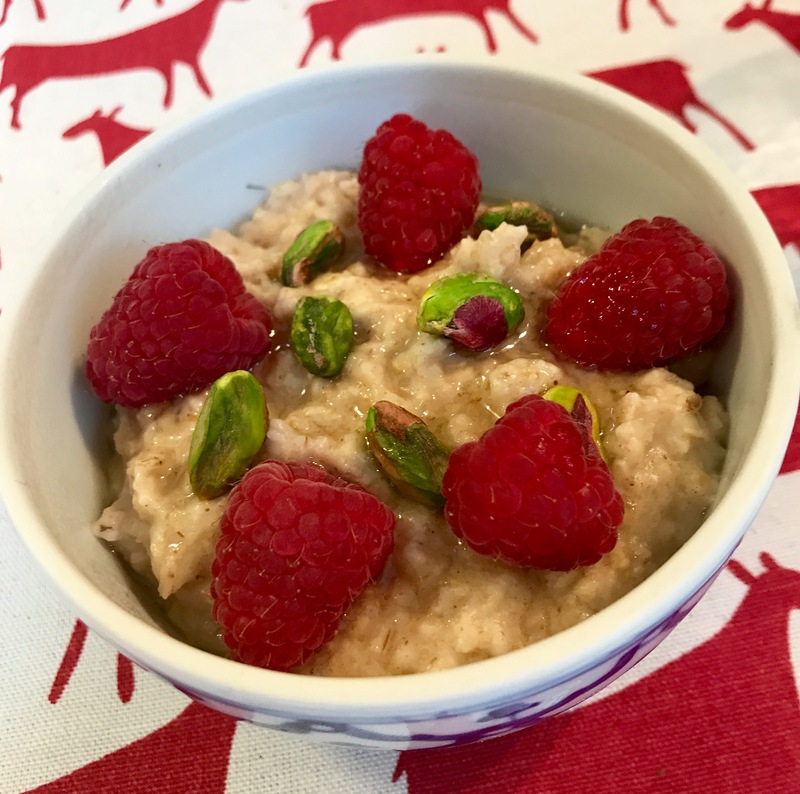 Split the porridge between two bowls and top with the pistachios, raspberries and honey. Add a dash more of Vita Coco if you like your porridge a bit runnier. Pancakes always seem like a real breakfast treat. These are spiced up and sweetened with the addition of cardamom and vanilla. I love the taste of cardamom and it’s said to help with digestive problems as well as being a good detoxifier. Ayurvedic medicine swears by the tea as a means of fighting depression. And it’s really delicious in pancakes! Mix the flour, baking powder, caster sugar and cardamom together in a bowl. Mix together the milk, vanilla, egg and butter. Pour the milk mixture into the flour mixture and beat with a fork until you have a smooth batter. Heat a non-stick frying pan over medium and add a knob of butter. When it’s melted, add a small ladle of the batter. Wait until it begins to bubble, turn and cook until golden brown. Continue until you’ve used all your batter. The ginger gives it a really lovely zing – and you should definitely add the honey. Almonds would also work well if you don’t have pistachios.